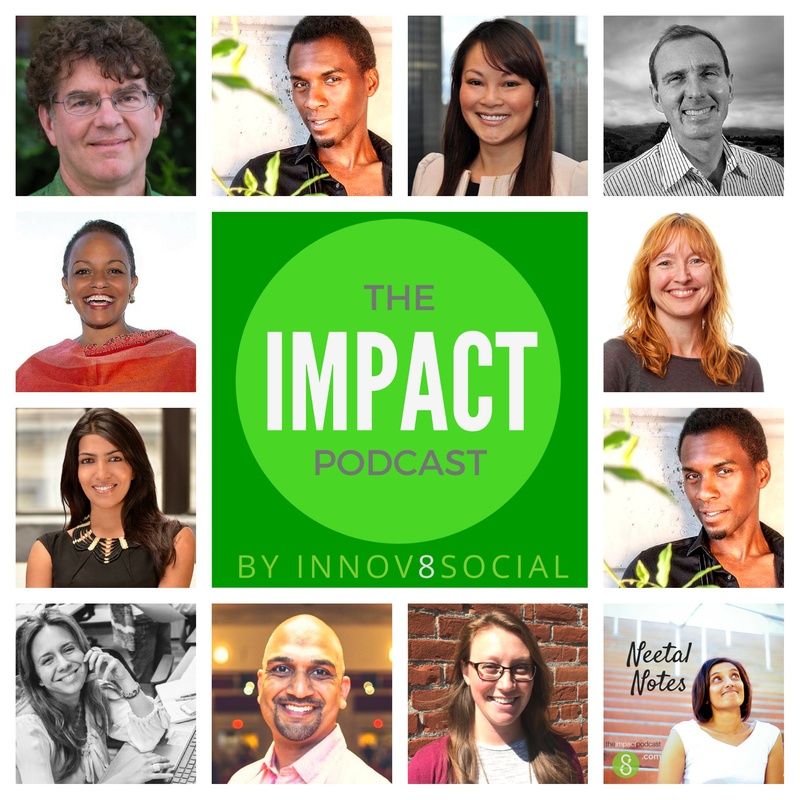 In this episode of the Impact Podcast, Innov8social founder talks to us, live from the 2016 Tech Inclusion event. Neetal talks to a wide variety of attendees as well as organizers on various topics. The event had a great session about, about race and the unconscious bias that comes along with it. Neetal meets Dr.Barbara Adams, who is an organizational psychologist, she specializes in the aspect of human behavioral change due to disruptive technologies. Barbara feels that it is a great privilege, to be a part of Tech Inclusion, and to meet the amazing people at the conference. Neetal then meets Nancy Garcia, community and diversity program manager for Elemental Technologies. She was invited to the event by TechTown from Portland Development Commission. Barbara felt that the event is a change catalyst, which helps people to come together and find people who can bond over similarities. She found people at the event, who are compassionate and helpful to one another. Nancy came to conference to built a community of people, who are interested in learning and making a change. You can reach Nancy by twitter @msnancygarcia and also at elemental.com. Barbara can be reached at drbarbadams.com and, she always loves to hear from the audience. Meet Elena, who manages the startup showcase. She takes care of the startup pitch inclusion for the conference. She has the task of setting up the evaluation panel, which filters the 10 finalists from hundreds of applications. The selected finalists, will get to present their startup pitch on both days of the conference. Once the conference is done, the winners will be announced. There is a set of criteria of put forth by Elena’s team, one of them is to have a product which promotes diversity and inclusion. The startup should also have a demo to showcase, in addition to the fact it should have received less than 2 million in funding. To learn more about the finalists, and the startup ideas they pitched, please visit sf16.techinclusion.co. Meet Mitchell Glauser, who is a software engineer by profession. She is also the founder of Techtonica, a non profit which provides free tech training and placement, for low income women in San francisco. She started her career in software, through one such boot camp called hackbright. Ever since, she has been helping a lot of women in tech industry. She noticed recently, the coding bootcamps have tripled their rates. She wondered how struggling people can afford to join these camps ? So she researched and found that, providing tech skills can make people thrive. She did so with the help of companies, who were looking for diverse professionals. The companies sponsored boot camps to help people in need. In turn the companies, also got benefitted by having new people with diverse skillsets. She has completed a whole bunch of workshops and fundraisers. Hader Cohen is the founder of “pivot to bloom“, she believes that a healthy business culture, is the heart of a successful product. She partners with tech companies, help them sort out gender issues using a holistic approach. Hader’s team organizes weekly communications about gender, culture, and also conduct monthly workshops. They bring in the theory and apply them practically using fun activities to solidify the learnings. As part of the workshops, they also communicate with Managers, and sort out the gaps between leadership and workforce. A lot of companies find it hard, to accept that they have gender and culture issues, but it is deeply rooted in them. You can connect with Hader through her website “pivot to bloom” and by e-mail at hadar@pivottobloom.com. She loves to volunteer at Tech inclusion and is always amazed to meet wonderful people at the conference. She feels that experiences should shape your career, rather than a rigid thought process. Arvind is a database engineer working for salesforce. At Salesforce, employees get an opportunity to volunteer for 7 full days a year. They also get to choose to volunteer locally or to travel abroad. Many of them do go to, places like Vietnam or Nicaragua for volunteering to experience a different world. The volunteering work at Salesforce, helps their employees feel that, they are a part of family which creates an impact. Neetal noticed that conference captured, the cutting edge of space, by bringing in speakers and thought leaders. The conference was huge win, as all participants walked away with their network and thought process widened.The conference gave hope amidst all the negative things happening around the world.